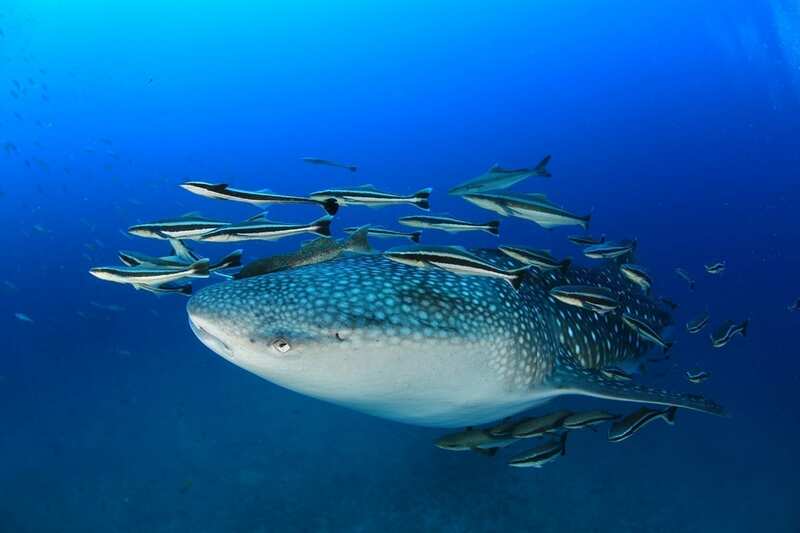 Daily dive tour to Sail Rock by speedboat – wall diving and big schools of fish, frequent whale shark sightings. Sail Rock is one of the most beautiful dive sites in the Gulf of Thailand – and this is not just a myth! Located in the middle of the sea north of Koh Phangan Island this big granite rock formation breaks the ocean surface rising from a depth of 40 m – it attracts a lot of marine life and is known for big schools of fish surrounding the rock. The most spectacular attraction of Sail Rock is the ‘vertical chimney swim through’, which allows you to enter at a depth of 18m and ascend inside the rock.